Pastor Scotty Cole is the founding pastor of The Firehouse Church located in Meridian, MS. He has served in ministry as a licensed and ordained minister of the Gospel since 1999. Pastor Cole has served as a campus ministry director for Jones County Junior College, William Carey College, University of Southern Mississippi and currently serves at Meridian Community College. He has also served as a missionary for the North American Mission board in 2000. Pastor Cole served under Pastor William C Brown from 2001 to 2012. During this time, he served as minister of Music for 5th Street Baptist Church and helped organize a church plant in De Kalb, MS which is New Vision Baptist Church, where he served as minister of Music and Executive Pastor. Pastor Cole is actively involved with his community. He works with the Ramp ministry, which is a ministry that build ramps for elderly and disabled individuals. He also organized The Redline Community Development, which is an organization that focuses on the revitalization of the Redline Community. This includes the people, property and overall environment in this area. Pastor Cole can be heard everyday on 105.7 The Beat the #1 urban hip hop & R&B radio station in our region, as he has now been afforded the opportunity to speak to the region during the "Motivational Moments", which is an outreach ministry that encourages all segments of society. Pastor Cole was recently awarded The 2013 Man of the Year award from the NAACP for his community impact and leadership. Pastor Cole is honored to be married to his beautiful wife of 11 years, Evangelist Kajsa Cole of Hattiesburg, MS. Together they share two children Zion (9 yrs old), and Jonathan (1 yr old). God placed the call on Pastor Cole to step out on faith and establish The Firehouse Church in 2012. Together, he and Lady Cole have worked relentlessly and faithfully to do the work of the Kingdom. 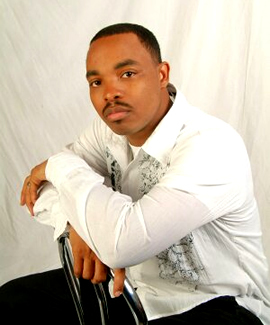 Aside from ministry Pastor Cole is a 2012 graduate of MS State University where he earned his Bachelors of Arts degree in Business Administration /Accounting. He is also bi-vocational and works as a Residential Real Estate Appraiser. Pastor Cole preaches and teaches the Word of God practically and pragmatically. His messages will encourage, enlighten, and edify you as you seek to grow in the abounding grace of our Lord and Savior Jesus Christ. Evangelist Kajsa Cole has been chosen by God for full time service to the Body of Christ as an anointed preacher and teacher of the word of God. She currently serves at The Firehouse Church, Inc. where she shares in ministry with her husband of 11 years Pastor Scotty Cole, in Meridian, Mississippi. They share two beautiful children Zion and Jonathan Cole. Evangelist Cole made a commitment to Christ at sixteen years of age. She felt and received the call of God on her life at the age of eighteen. And at the tender age of 22 she preached her first sermon entitled “Don’t get Comfortable in an Uncomfortable Position”. This message served to be prophetic for Evangelist Cole and encouraged her to never fall into a comfort zone, but yet keep pressing toward the mark and escalating in God. Evangelist Cole was ordained in December 2008 at the age of 28. She has the heart of a worshiper. She believes that when we worship God with our whole heart, He will reveal to us who He is, and who we are to Him. Believing the call on her life is to encourage and exhort the Saints of God, she works diligently to walk worthy of her calling in the service of the Lord. 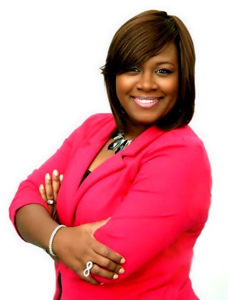 Evangelist Cole serves as President and Instructor of the Women on Fire Women’s Ministry of the Firehouse Church and founder and CEO of Kajsa Cole Ministries, Inc, where she host several workshops, conferences, and seminars purposed to exhort and enlighten the women of God. Evangelist Cole serves her community in different capacities which includes serving on the executive board of the Center for Pregnancy Choices and The Red Line Community Development. With a love for God and a clear understanding of her purpose in Christ, the Lord has anointed her to encourage others to step out on faith as they strive to reach their destiny in God!